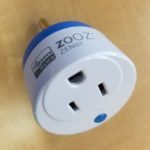 zooZ has done a fantastic job making 3 new devices that are sleek, affordable, and on par with some of the more well known Z-Wave device manufacturers. Each device has a lot to like and very little to complain about. In fact, one of the devices has even ended up being my favorite of it’s category (which isn’t easy considering the competition). So, what is it that I like so much about zooZ’s latest and greatest? I’ll start with the zooZ (ZSE08) Contact Sensor as it is the most basic of the three. 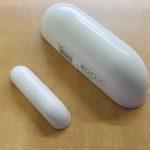 It is a smooth and attractive window / door sensor that I would describe as “medium” sized. As you can see from the comparison photo, it is much smaller than the Monoprice Contact sensor and slightly smaller than the Aeon. It isn’t large by any means, but it will stand out a little more than the Sensative Strip or Aeon Door / Window Sensor 6. The device itself does not have many configurable options, but this is to be expected from a simple contact sensor. Things start to get interesting with the zooZ (ZSE09) Mini Sensor. 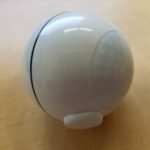 It is nearly identical in shape and size to the Fibaro Motion sensor, but is about half the price. Now, you are sacrificing some features when going with the zooZ, but the difference in price may be worth it. 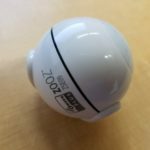 The Mini Sensor, in addition to detecting motion, has the ability to detect the luminance in a room. This is great when you want to do things such as turn on a light when there is motion, but only when the room isn’t already being lit by a window. 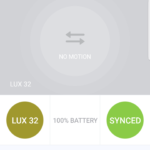 The zooZ also has the ability to turn on/off lights that are directly associated with it. This Z-Wave feature allows for device-to-device communication that works even when a Z-Wave gateway is not involved. When motion is detected, the sensor can dim associated lights to 50% for example. 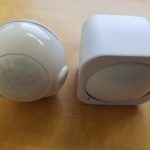 The sensor can then turn off the associated light when a configurable time has elapsed. 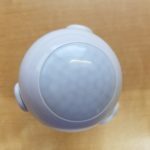 The Mini Sensor includes a few other bells and whistles that make it a great buy. For example, you can adjust the motion sensitivity (or completely disable motion detection if desired), disable the LED, and fine tune how and when light level (LUX) changes are reported to the Z-Wave gateway. 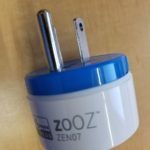 Lastly is the zooZ (ZEN07) Mini Plug. This is personally my favorite network controllable wall plug. That is saying a lot considering all of the wall plug devices I own and have tried. 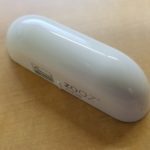 The most impressive characteristic of this device is its size. Barely bigger than the plug you connect into it, you should have no problem using it with another device plugged into the same outlet (or two of them side by side). 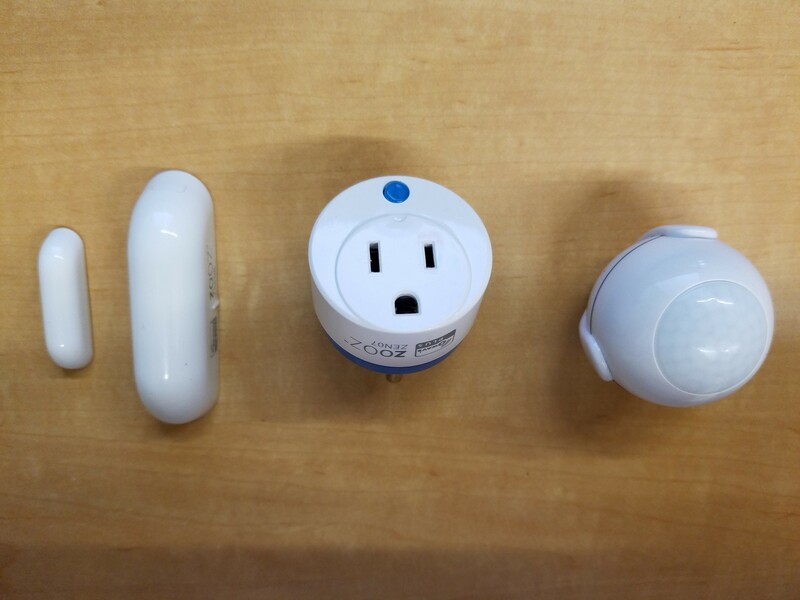 It is smaller than the Aeon Smart Switch 6 and much smaller than some other devices such as the GE Z-Wave outlet or the Wemo. zooZ truly did a fantastic job engineering this compact device. For being so small, it doesn’t skimp on features. 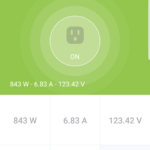 It has the ability to report power usage in Amps, Volts, and Watts. Users have the option of turning off the notification LED or disabling manual control from the device. 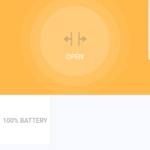 You can also have the plug automatically turn off after a configurable number of minutes and even tweak the overload protection and notification. As I stated, zooZ has made some great products here. 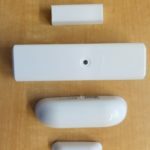 I am impressed by all three and recommend them to any one looking for a door / window sensor, motion / light sensor, or network controllable plug. If you were on the fence regarding the first round of zooZ products, definitely give these a chance. They are solid products that look great and don’t break the bank. 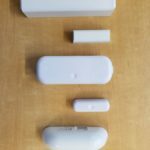 All devices are currently available from thesmartesthouse.com.